Some kids take their tennis seriously and finding them the right pair of shoes is a matter of life or death in their eyes, so here I have decided to put together a review of some of the major considerations and viable options a parent should make before choosing. There is a constant buzz around what is the best pair of shoes for handling the tennis court and ideally, this answer would be straightforward. This would make choosing easy, select a type and that would be that. However, there are some differences between pairs, types, designs, some have been specifically engineered for certain players game-types and feet shape for example. Style of play – Some kids strength of the play is in their service and they like to play deep at the base of the court, while others prefer the closeness to the net. The serve that follows with the net means the kid is gonna need to slide a lot and a durable shoe is probably a safe bet. The other type could be the base-line play style and the more the running occurring from side-to-side the shoe correspondingly will need to be designed to have support along the side of the shoe on the inside arch and outside. Durability – Some materials are better than others and some shoe-types have superior stitching than others, but usually are synthetic. The inside of the shoe is as important as the outside and having good cushioning is important because hours of play wear the feet and skin out. Court surface – Having a good grip on the surface is crucial and different shoes have been designed to enhance grip on certain surfaces because grass court is different from clay for example. Foot type – Every kid has a different shape of the foot and flat-footed is gonna need a different shoe compared to a kid with a high inside arch. This factor is sometimes overlooked and makes for terrible aches and pains which sometimes can cause problems, so by some simple tests they can assess which type they are. For example – the wet test is good at determining the shape of a foot quickly, simply wet the foot and walk over a piece of paper to see if there is a large gap on the inside sole or not, if so buy a shoe accordingly. Material Type – Usually the inside materials consist of EVA and PU cushioning. The first is softer and lighter, creating a flexible feel, but at a price and this can affect the overall stability and life of the shoe. Some kids have forward motion and are quick on their feet with the support needed at the back and front, while others need more ankle support for stability. The more experienced tennis players will have learned their own individual needs through years of tennis and refining the intricacies of the game, however below I have put together 5 pairs of kids trainers that have good durability, support, and designed for beginners all the way to pro. This shoe I have seen Louisa Chirico wear who happens to be an American, who is currently ranked 58 in the world and is slowly moving up the tennis rankings. This design is meant for endurance and long days of training up and down the court. The drills and repetitive nature of tennis is why this “BARRICADE CLUB SHOES” is for everyday play, specially made for kids and will last them through all 5 sets. The upper part of this shoe is synthetic and the toe area is made for avoiding abrasion, which can be common with certain brands. The midfoot is highly breathable and this is important with the build-up of heat in this particular area and Adidas have done well in preempting this. The sock-linear is made from a special material called dimethyl octadecyl ammonium chloride and treats the cushioning with an added layer of care which helps with smell and prolongs the overall use of the shoe. The support is fantastic with this shoe and the heel is designed for high-impact and with design technicians cushioning this shoe there will be no complaints. The sole is non-squeaky and non-marking which is important for certain kids playing in indoor areas. 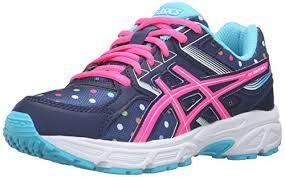 Support – Asics are a well know brand of shoe and is especially known as a tennis shoe in the tennis community. They offer superior quality, design, and support, which is why they come highly recommend in general but even more specifically here in this review. The material is a complex mix of rubber, synthetics, and meshes cushioning. The sole is made of rubber and offers additional support at the heel and less at the toe. The gel cushioning is at the rear-end of the foot (sole) and helps with phasing between mid-stance and shocking impacts. The Pguard is a new feature and protects the toe to ensure longer play and comfort. The flexion with this Asics Gel is fantastic and offers more comfort without losing out on support and speed. These a very lightweight and nibble on the court. 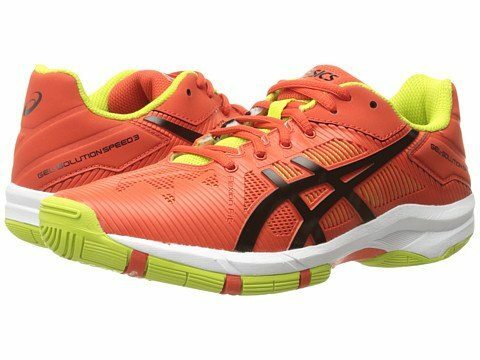 The design and color of this particular shoe are great for doubles and makes spotting your partner easy through the side-vision and orange is a favorite of mine. New Balance Ndurance is known for producing everything from rackets to shoes and this all-court pair is impressive. The complex game of tennis demands a secure grip on all court-types and this rubber compounded sole is textured to contend with the best of the bunch offering durability and high wear tear. Players who like to use the full court will prefer a shoe for training with and especially if the kids start getting competitive. The traction is ideal for grass courts, but can be used in any! 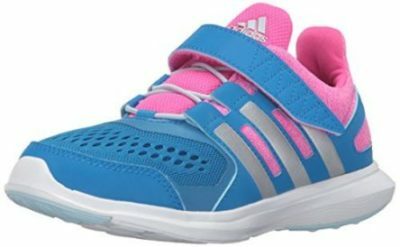 The entire foot is infused with TPU cage and gives your kid a feeling of supreme flexibility and style. The style and design are bright and stands out on the court whether out to impress or with simply competing, it is fast and great for a superior-response. There is a No-sew added to the shoe to make a higher density of the mold’s upper section. Support – Every kid runs differently and the more support offered for their style of play with add to their comfort and decrease the likelihood of injury. Running efficiency is one of the important factors and helps contribute to chasing the tennis ball down the line when your opponent hits like Andy Murray and time is short. This is why this shock absorbing attenuates midstance design is great for maintaining control on the court because of the smoother the transition the better the game-play. 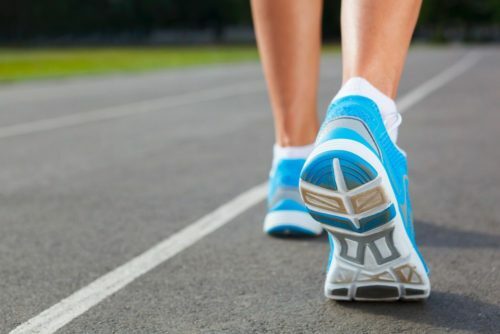 By matching a shoe’s properties with your kid, like foot width will increase your child’s running ability and style, which will maximize their overall performance. The material is synthetic and made of a rubber sole, which is similar to the rest of this review. The GEL feature is ideal and with the breathable mesh and padded inside layer, this Asics is a good contender for being the best tennis shoe for kids. 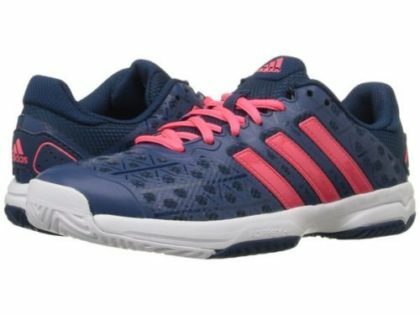 These Adidas shoes are very supportive and have been engineered to give comfort around the heel of the foot for darting around the court. The textile lining is very comfortable and the rubber sole is designed for securing the foot while making sharp turns and quick stops close to the net. The material charged with comfort and energy so one doesn’t mean losing out on the other and the midsole is cushioned and light on the step. The strap is super-convenient and allows for easy on and off when it’s time to take a rest. The hook and loop straps hold the upper part of the foot firm and make easy fastening for the game ahead. The “ASICS GEL 3 GS Tennis Shoe” is the best overall and offers the latest Gel-technology and cushioning, which allows those kids to play for hours of up-and-down court play. 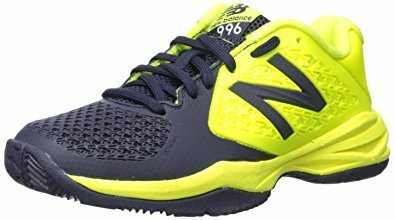 The “New Balance KC996V2 Tennis Shoe” is a great low-budget shoe and has some of the latest features and technological, tennis-design advancements but without the high-cost.